Last year, I won a 1/8 yard bundle of Bonnie and Camille fabric in a blog giveaway. Isn't it pretty? Last week, I was minding my own business in my sewing studio and suddenly the fabric started calling out to me. "Make something with me!" it said. Decided to make a churn dash quilt and make blocks of different finished sizes (12'', 9'' and 6'') and decide the layout later. My first challenge is how best to efficiently cut up this 1/8 yard fabric bundle for most efficient use. Each piece is cut 9 x 22''. Pretty fabrics and nice Churn Dash blocks. I like how you are making different sized blocks. The layout should be interesting. Pretty! That is one of my favorite patterns! 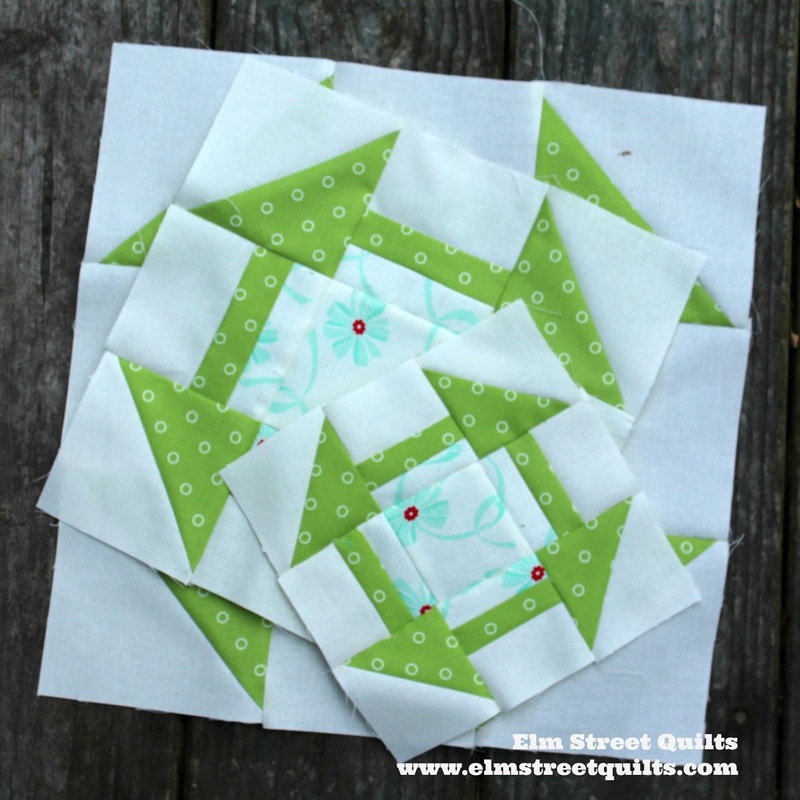 I love the fabrics and I always love Churn Dash blocks. I really like the way you are combining the fabrics in these blocks. You had me at churndash ;) Pretty blocks!! Beautiful fabrics. Love the polka dot. I find it embarrassing when the fabric yells at me in my LQS, lol. This is going to be a fun and pretty project! I can already tell that this is going to be a wonderful project. Have fun!! Very pretty spring colors! Have fun with your new project. Those fabrics would have been calling my name too! Love the blocks!